A young person living in Queensland today should be able to look to the future with excitement and see limitless possibilities. Being young is about exploring opportunities that come with increased independence and having the benefit of choice. The Queensland Youth Strategy creates opportunities for young people to participate in decision-making that will affect their lives now and in the future. It sets ou this government's vision for young people to actively contribute to Queensland's economic, civic and cultural life. Central to the strategy’s success is our ongoing commitment to continuous engagement with young people. As part of this commitment, we will ensure young people have a voice in developing relevant government policies and services. This will enable young people to help shape Queensland’s future, and also encourage innovation and community ownership of these policies and services. We facilitate a range of programs and initiatives aimed at developing the skills and capabilities of our young people, preparing them for them for a prosperous and global future. This strategy sets the vision for young people in Queensland and outlines this government's commitment to support young people towards a positive future. There are a range of opportunities available for Queensland’s young people to develop their leadership skills and build their capacity to get involved in their community. Two of our cornerstone programs are the Queensland Indigenous Youth Leadership Program and YMCA Queensland Youth Parliament. Youth support services help young people to connect to positive family support, get a job or engage in training or education, lead a healthy and violence-free life, and have a safe, stable place to live. The YHARS provides brokerage services and a coordinated and integrated case management response to the complex needs of young people aged 12 to 21 years who are homeless or at-risk of homelessness. The Queensland Youth Engagement Panel will bring together a group of young Queenslanders to represent their peers and networks to share ideas and insights with the government. The Queensland Youth eHub is a safe online space where Queenslanders aged 13 to 25 can have their say about what matters most. It's a place where young people can voice their opinions, submit ideas, and join conversations to influence Queensland Government policies and programs and help shape Queensland's future. 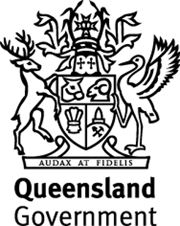 Queensland Youth Week is an annual celebration of the achievements and contributions of young people aged 12-25 to Queensland’s economic, cultural and social life. The week is an opportunity for all Queenslanders to engage with our state’s young people to ensure they can thrive and have fun along the way.